LE NOZZE DI FIGARO:Mozart Original Air Date: 02/09/2002 Runnicles; Furlanetto, Uecker, Isokoski, Mattei, Jepson SID.19160106This is a distinguished group of 21st century Mozarteans. 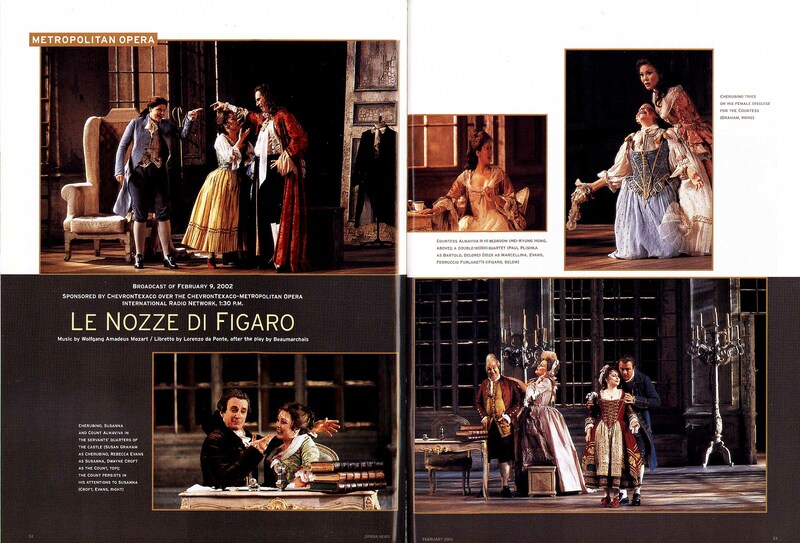 In fact, Furlanetto and Mattei show up together on the Met’s Don … Continue reading "LE NOZZE DI FIGARO"
LE NOZZE DI FIGARO:Mozart Original Air Date: 02/09/2002 Runnicles; Furlanetto, Uecker, Isokoski, Mattei, Jepson SID.19160318 This is a distinguished group of 21st century Mozarteans. In fact, Furlanetto and Mattei show up together on the Met’s … Continue reading "LE NOZZE DI FIGARO"